There’s a lot of wisdom that says the best thing you can do to achieve your goals, to raise a child, to do anything of lasting value, is to practice consistency. If you want to be taken seriously, be consistent. Determine the regular activities, rituals, and habits that are of value to you. What do you do with regularity? What do you want to teach your children to do, every day? Every week? What’s your list of behaviors you won’t / can’t skip? These could be practical chores; daily grooming habits; rituals for your morning or before bed routines; exercise regimens; prayer; meditation; time for devotion or reflection; regular communication with family / friends; social media; and work. Less frequent but still regular activities might be things like monthly or annual travel; personal or family traditions; holiday celebrations; routine health care, property, and auto maintenance. Consistency is important in every realm of life. Set your goals for your personal life and your work life, then step toward them every day. Have a vision for yourself, your family, your work, and stay true to that vision. Some people create personal mission statements, or establish long term objectives that will shape life direction. Some of us are natural born planners. But others are not. For most of us, this is so much easier said than done! Our fast-paced, hectic lifestyles mean we’re often choosing what to get done and what to cut short, or skip altogether. Or maybe your struggle is less about time management, and more about ability to focus? Or about prioritizing what you really value above the “urgent” tasks life hands you every day? Being consistent is not being “stuck in a rut.” When I hear that phrase, I think of the dull, boring routines of life that are the result of laziness or lack of creativity. Consistency is really the opposite of dullness or laziness. When you choose to be consistent, you demonstrate the value your chosen behavior has for you, or the importance of the goal you’re diligently and consistently working toward. Consistency is the key to success for most people, far beyond the occasional stroke of good fortune or blind luck. These are the strategies I’ve found work best for me as I practice consistency. If you struggle with this, perhaps these could work for you too. The small daily and weekly habits are easy to define and monitor with old-fashioned tools, or the digital helps at our fingertips through smartphone apps. List the daily / weekly items you want to repeat, day in, day out, or by the week or month, then monitor yourself until the habits are set and you don’t worry you’ll forget something. Learn to say no to yourself, and to others! Self-discipline is the force behind consistency, and in my life, the real challenge is saying “no” to distractions, the fun things that pull me away from my commitments and goals, and the guilt that comes when I say “no” to family and friends. You certainly don’t want to miss out on everything, but you do have to make strategic decisions and choices so you don’t derail yourself, or allow others to pull you off track. Set small goals and brave goals. (I call the big dream goals “brave” because that’s what they are: your brave declaration that you can do big things!) You should be working on two tracks. The small, incremental steps you take on a daily / weekly basis move you toward your big goals. The small actions are the fuel that allows you to hit your big target. Don’t convince yourself you only need the small goals, or you only need big ones. You need both! Meeting small goals gives you a sense of momentum and success. A big brave goal provides inspiration. Try to do your daily / weekly tasks early in the day / week. The sooner you cross those off your to-do list, the more you can say yes to other things that come up. Or maybe you just have that extra time to relax, sleep in, or give additional time to your goals. If you’re struggling to meet a goal or a deadline you’ve set yourself, build in an incentive. We never get too old or too big to appreciate a reward for finishing a task! And that’s especially true if some of your tasks are really challenging. Incentives come in all shapes and sizes. You know yourself…choose something that will really inspire you to get the job done! Set timelines for yourself. 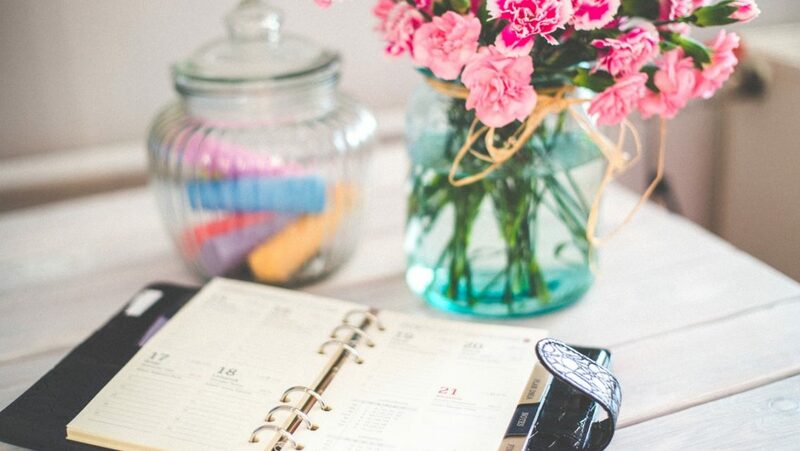 You’ll be more successful if you have a real date on the calendar for finishing projects. I use my next travel date, a visit from friends or family, or even my next birthday or anniversary date as deadlines for making progress. Most of the time the deadlines I set for myself are arbitrary, but it really helps me to stay on task to know I have a target for completion. Keep a written log of your progress, whether it’s in digital form or some form of a paper journal. You might also notate new skills you learn as you progress, keep a list of resources, and document any significant changes you make to your brave goals. Don’t forget to include the “why” if you decide to make big changes. You’ll probably appreciate having your notes to refer to when you plan your next commitments. Share as much as you feel comfortable. When you share your progress with others, that adds a layer of accountability to your process. Of course if you have to adjust your time table or your plans in a significant way, share that too. If you broadcast your success, it’s important to acknowledge mistakes or changes to your plan as well. I don’t suggest that you share failures or mistakes to embarrass yourself, but rather to keep the experience authentic, and also to acknowledge the reality that sometimes we miss our targets. And that’s ok too. It’s perfectly permissible to be human. Be realistic. Don’t set goals that are un-reachable or unsustainable. Don’t set goals that will put you on a path of isolation, having to work so hard and so long to meet your target that you neglect your health, the important people in your life, or other essential tasks / duties you’re responsible for managing. And when you miss a deadline, or neglect some of your daily / weekly habits, don’t beat yourself up. Just re-commit to doing better, and then keep your commitment! Celebrate your successes. Mark your milestones. When you mark your progress, you have opportunity for self-assessment…are your small goals really supporting your brave goal? Are you achieving the timeline you forecast? Do you need to revise strategy, timing, resources? There are so many benefits to living with consistency! Routines and habits are important supports for building a successful life, however you define success. Consistency helps us to have integrity, to keep our promises, and to set examples for others, especially children, about the power of incremental and regular effort. And consistency is its own reward, giving us success one day at a time, one step at a time. What about you? Do you have some great tools for becoming more consistent? Would you share them?